This weekend is all about the ladies leading in to Valentine’s Day. 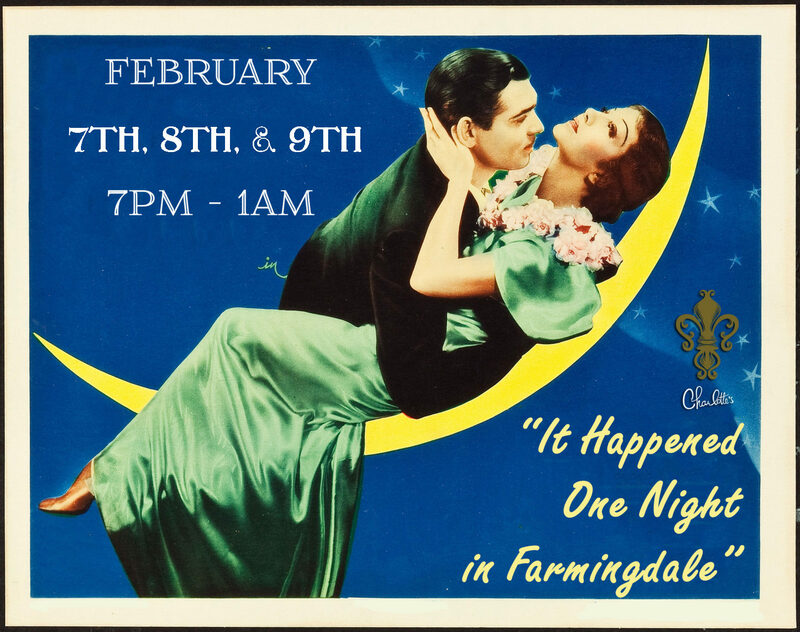 Gals, tell your guy to bring you down to the speak and be treated like an heiress from the 30s, like Ellie Andrews from “It Happened One Night.” Special cocktails and it’s all about the love as we pour drinks and have some ragtime fun. Walk through the bookcase and enter another time and place. Remember to grab the password before you head to the speakeasy! New opening time from 7pm – 1am. Performance by Deep Pockets.